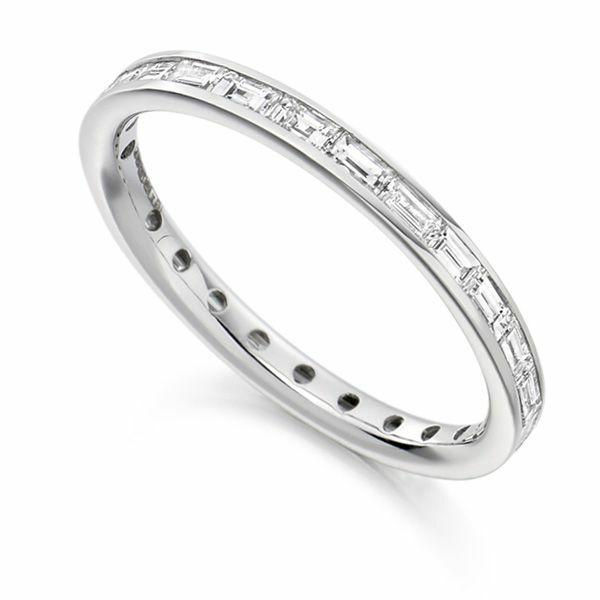 Baguette cut diamond eternity ring with a precision cut channel holding the sideways set diamonds. ﻿This Baguette Diamond Eternity Ring gives a very modern feel, with the slim Baguette cut Diamonds set into the 2.25mm width band. The Diamonds have been precisely sorted and matched by our expert setters. Each Diamond has been set lengthways along the channel with a total carat weight of 0.75 the band has a court profile and is fully set. The Baguette cut Diamonds have been graded F/G for whiteness and achieve exceptional purity at VS clarity. This elegant Baguette cut full Eternity Ring is available in a choice of precious metals including 18ct White Gold, 18ct Yellow Gold, 18ct Rose Gold, 950 Platinum and 950 Palladium. 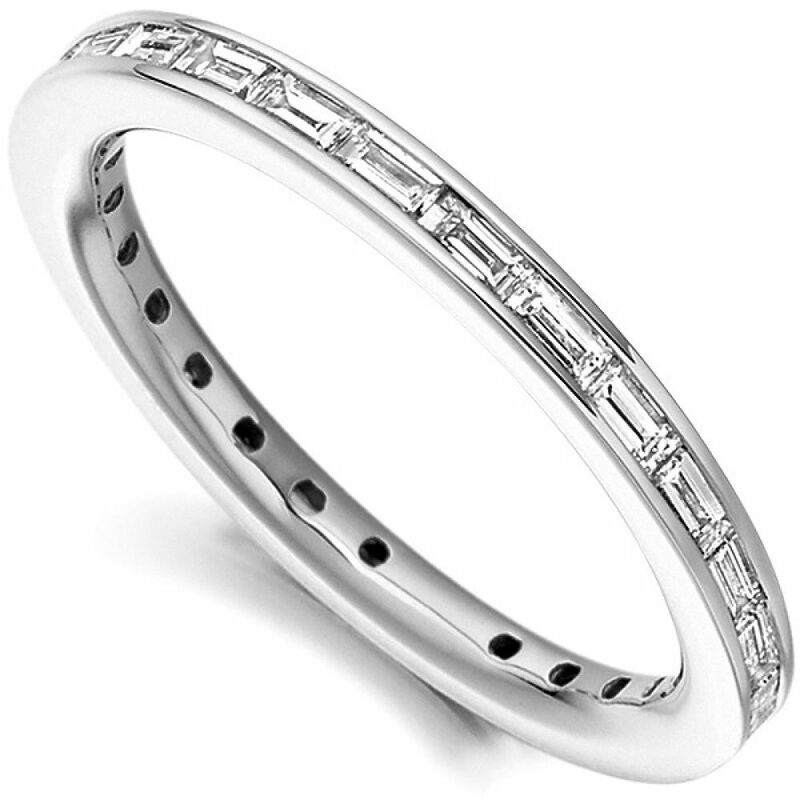 Please allow 4 weeks to craft this exceptional Diamond Eternity Ring, precision set and meticulously polished. Your completed ring will arrive beautifully presented in pristine Serendipity Diamonds packaging with presentation box. We deliver from the UK, to most locations worldwide including Ireland, Europe, USA, Canada and Australia amongst other countries. 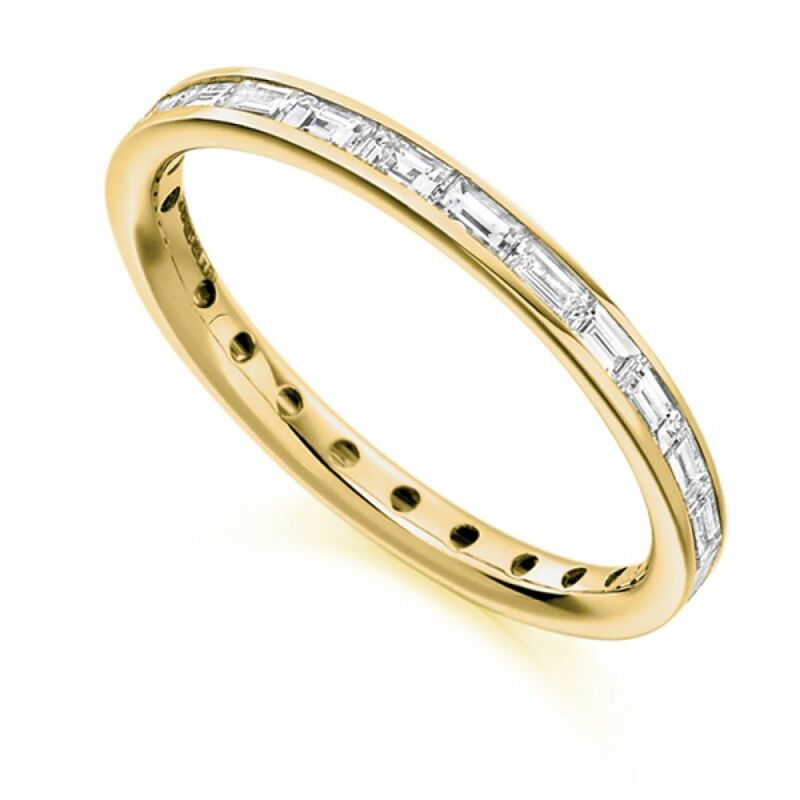 Please contact us for more information and advice on any of our Diamond eternity ring collection.